Each year OLF 5th graders and 6th graders are invited to submit an application for the Gardetto Hahn Scholarship. 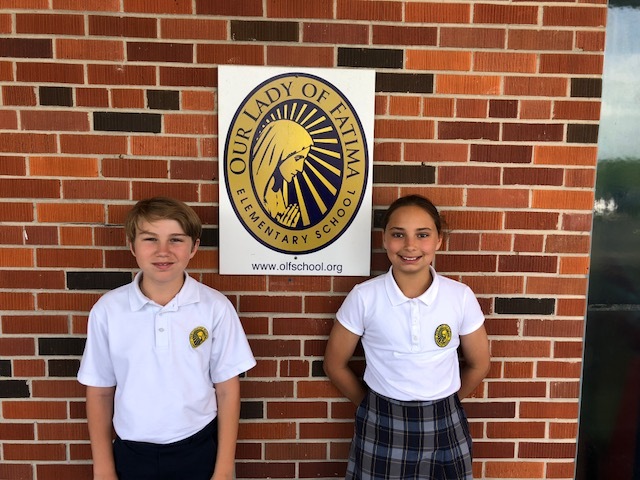 The scholarship helps students with tuition for 5th grade students entering the 6th grade at OLF and 6th grade students entering the 7th grade at St. Patrick High School. The students must complete a formal application indicating why they are deserving of the award. Father Henry announced the winners today. 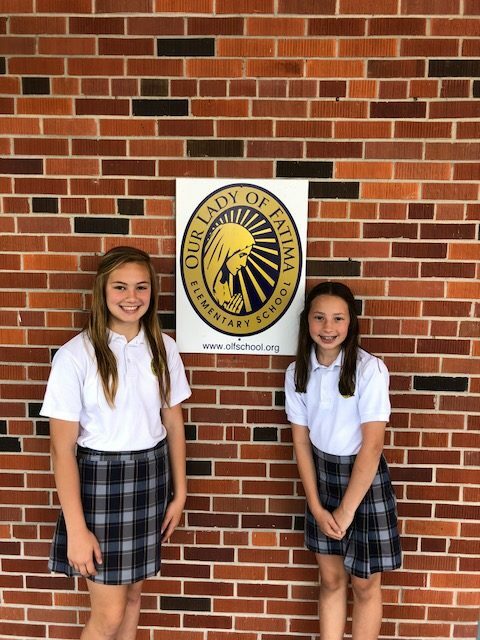 Taylor Jernigan and Linda Mustered won the 7th grade scholarship and Kamryn Donoian and Carter McLendon won the 6th grade scholarship. Each student won a $1,500 scholarship to be used for tuition.